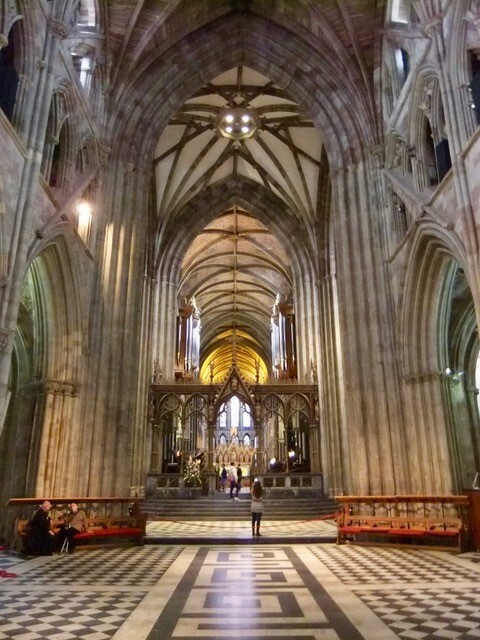 Despite the rain and some illnesses, an encouraging number of members came to Evensong at Worcester Cathedral. 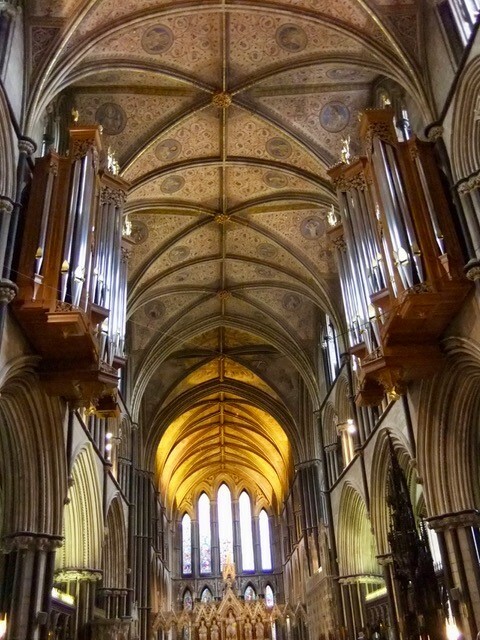 The conductor was James Lancelot, who is described as the Interim Organist. 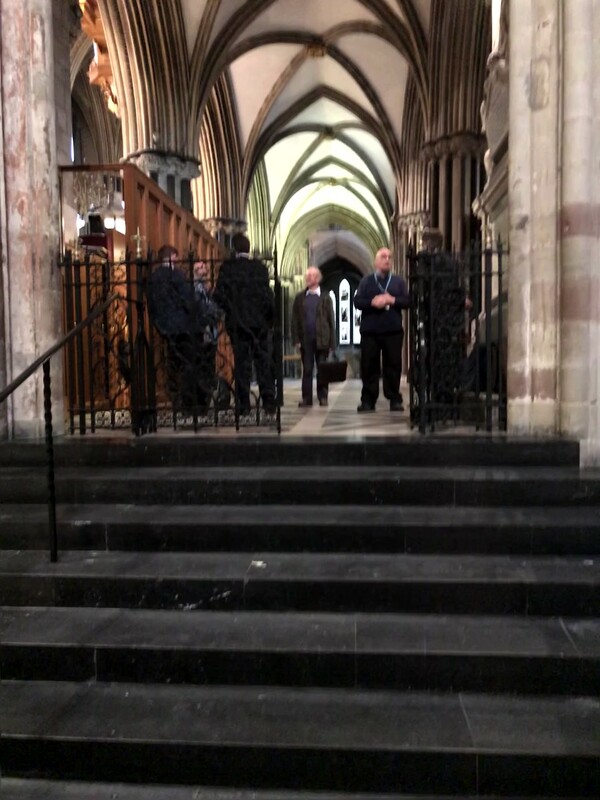 James treated us to the trio version of “Alien Gott in der höh sei Ehr” after the service before he greeted us and then left to catch his train back to Tewkesbury. We were then welcomed by Nicholas Freestone the Sub Organist and the Assistant Sub Organist Richard Cook. There was a delay before we could play the organ because there was a cypher on the Swell which had occurred before the organ recital that morning and David Gallichan had come to fix it. When all was well we all managed to fit round the console for a tour of the many stops and sounds. 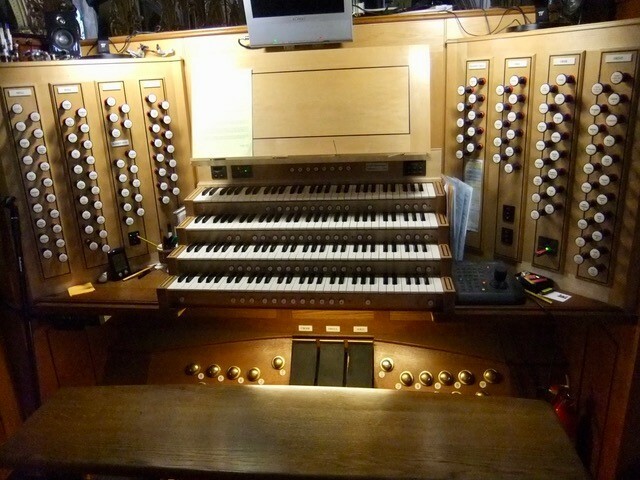 There is a Baldwin electronic organ in the nave and this is connected to the pipe organ console through the free Hauptwerk running St Anne’s, Moseley on a laptop. The Nave Baldwin organ simply amplifies the organ sound for the congregation in the Nave. 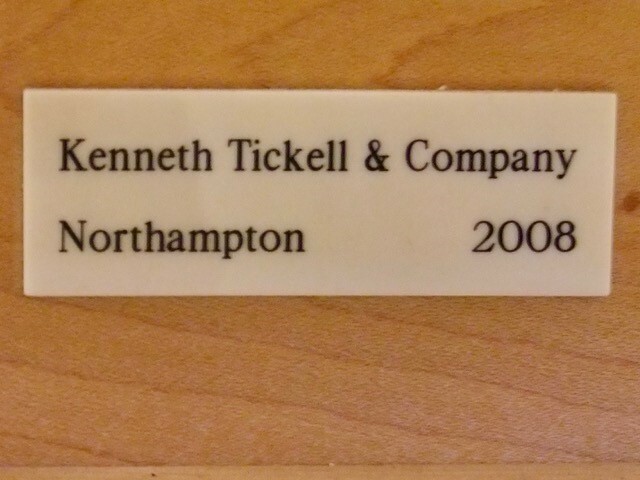 The only electronic stop used regularly for the choir and in recitals is the open 32′. After a very thorough demonstration of the many colours of the organ, we had ample time to play and hear the instrument in different parts of the building. There were some spirited performances including a Howells Psalm Prelude, Crown Imperial, the Cocker Tuba Tune, Adagio by Whitlock and Chorale and Fugue by Healey Willan. 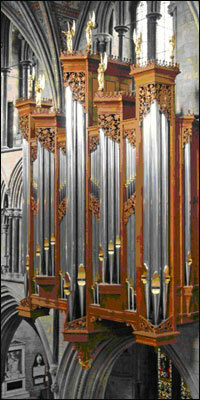 The organ was designed specially for the cathedral by English company Kenneth Tickell & Co, and it blends centuries-old pipe making and wood-working skills with state-of-the-art computer control systems. 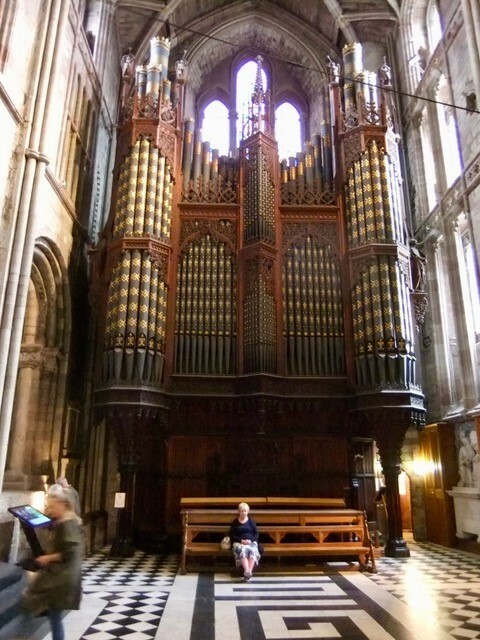 The organ, which cost nearly £1m, was funded as part of the Cathedral’s Appeal for Music and Light.